Thanksgiving represents a lot of traditions in American culture. Some enjoy the parade, others get into the football and some are all about the food. For many, it is a simple day of being together and playing games. Thanksgiving, more than any other holiday, really is a true holiday. Everything stops for something different. Thanksgiving is also traditionally a time set aside to kick off the Christmas season. Many put up or cut down their Christmas tree on Thanksgiving weekend. Most have their Christmas lights hung and many use Thanksgiving night as their time for turning them all on. By Thanksgiving evening the Christmas music is heard without apologies everywhere. 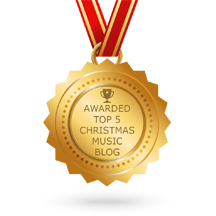 Part of our culture in celebrating Christmas is the watching of Christmas movies – many of them old and many of them seen over and over again through-out the year. There are so many must-see movies of Christmas that it indeed takes a month between Thanksgiving and Christmas to watch them all. For those that pursue this path, there is an order of sorts to Christmas movie watching as the season kicks off over Thanksgiving weekend. You have ease into it. You need movies that aren’t really about Christmas but don’t focus squarely on Thanksgiving either. It is all about transitioning from one festive moment to the next in a way that makes the season last long. 1. Planes, Trains and Automobiles – The is the #1 Thanksgiving movie of all time and it really isn’t about Thanksgiving. Steve Martin plays an uptight executive fighting his way home from a business trip on the day before Thanksgiving. John Candy is likewise in transit on a busy travel weekend that gets snarled due to weather. Both Martin and Candy are headed for Chicago – and neither can get there by plane, trains or automobile. They come together and fall apart on an unforgettable journey full of laughs, insults, and tear jerk moments. 2. While You Were Sleeping – Sandra Bullock plays a lonely single who rescues a man from sudden death when he is pushed in front of a commuter train. She follows him to the hospital where she meets and gets mixed up with his family. They think she is the man’s fiancé and while he is in a coma she endears herself to the man’s family – and finds a match in the man’s brother. The movie has nothing of Thanksgiving in it but is set during the Christmas season. Great comedic writing and an outstanding cast of supporting characters makes this one of the most re-watchable films ever – especially on Thanksgiving weekend. 3. 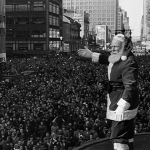 Miracle on 34th Street – It begins on Thanksgiving and ends on Christmas Eve. How perfect is that? Santa Claus is put on trial for lunacy and only a miracle can save him. It’s a great look back in time and an all-time favorite of Santa believers everywhere. 4. Little Women – This classic 19th century tale vividly comes to life through brilliant camera work and outstanding music that just happens to showcase plenty of the Christmas season. The coming of age tale never grows old. 5. New in Town – A recent addition to our Thanksgiving watch list, this romantic comedy starring Harry Connick Jr. and Rene Zellweger is set in the frozen tundra of Northern Minnesota during the Christmas season. She is the new-in-town corporate executive who has come to shut down the town’s main employer and he is the local union rep. Great character actors support the story and zing the cultural peculiarities of the upper Midwest to great laughs. Christmas caroling with Harry Connick Jr is just the icing on the cake.